Connect is an interactive exchange between our main campus and our Little Harding locations to help us maintain a strong connection. We want our Little Harding families (and staff) to know they are part of the Harding family! We hope that spending time with our older students will give our Little Harding students a taste of what is in store for them as they move up through the Harding system. Take 5, our middle school improv group, had a blast visiting our two Little Harding locations. 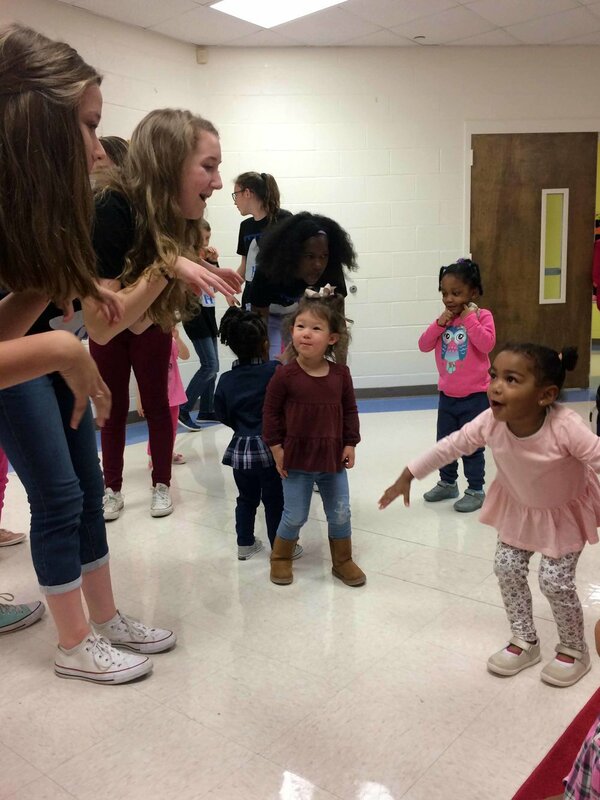 Take 5 is a group of students who use short plays, interactive games, and fun songs to help children discover their own strong voice, expressive body, and big imagination. 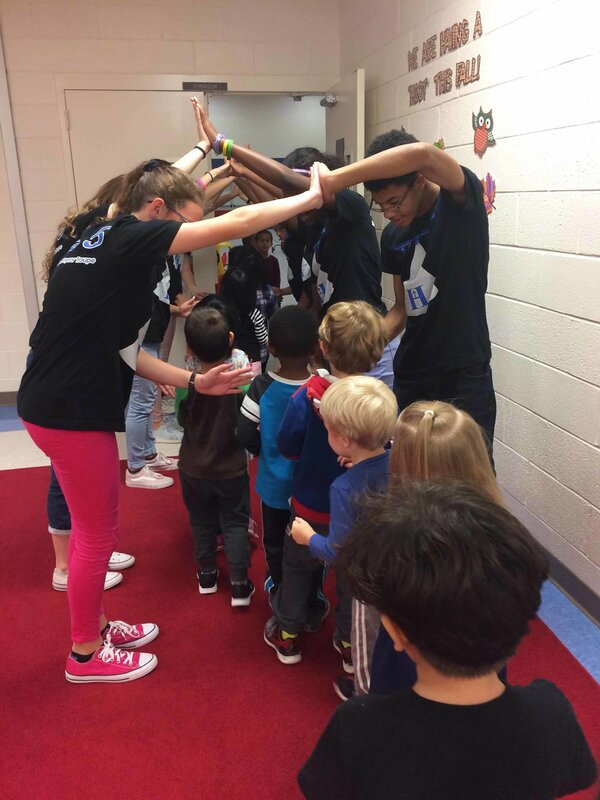 There were endless smiles and squeals at each location as our sweet middle school and Little Harding students shared time together. Thank you to Mrs. Aycock and Take 5 for connecting with our littlest Lions!